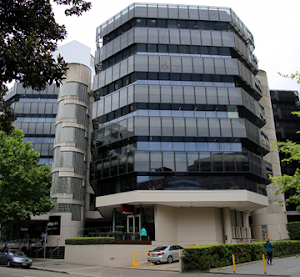 progeCAD has long stood as the default "professional" low-cost AutoCAD alternative software option. progeCAD offers and affordable perpetual-license alternative for "renting" high-cost AutoCAD access, with the ability to create, read, write and edit native AutoCAD DWG and DXF files fluently using and interface very similar to what AutoCAD users are accustomed. CADDIT now announces the worldwide offer of free upgrades to progeCAD 2017 of equivalent type for all progeCAD 2016 licenses and upgrades paid for on or after 24 February 2016. This means that a purchase of progeCAD 2016 USB will also get a free upgrade to 2017 USB at no extra cost, an upgrade from progeCAD 2014 to 2016 will also get 2017 upgrade at no extra cost, and so forth. 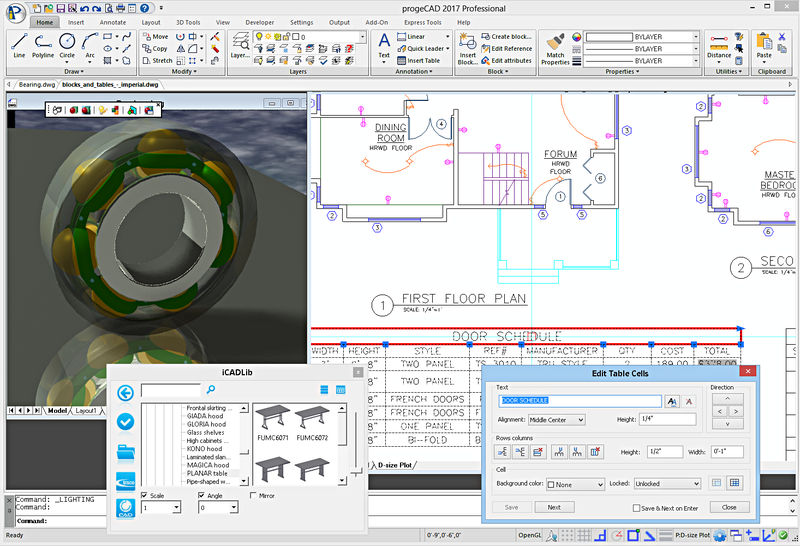 Upgrades will be distributed during the first few weeks after the global release announcement of progeCAD 2017 on the CAD Software Blog and on CADDIT.net. This free upgrade offer applies to ENGLISH language license purchase only, and will continue until the release of progeCAD 2017, on CADDIT.net. NATIVE 64-bit version with theoretical memory limit of 16-terabytes for x64 PC architecture, Windows tuning model (8 terabytes "User" and 8 terabytes "Kernel"). This means ability to edit vastly larger DWG drawing files than under the previous 32-bit architecture. progeCAD no longer supports 32-bit as of 2017 release. New RIBBON-BASED INTERFACE option. Users now have the choice between ribbon, toolbar, both or neither. Updated status bar, with icons and new features. Improved memory management and hardware graphics acceleration (OpenGL), again increasing stability and drawing speed. Multi-core support for opening and regenerating files, which provides 1.5 to 3 times performance improvement on multi-core computers (er.. well, we hope that is most of us by now..) Other platform improvements include: Support for "workspaces", .NET API with user drawing interaction support (AutoCAD compatible), vastly improved Microstation DGN format read support, AutoCAD .CUI menu support and many other general platform improvements. New progeCAD 2017 64-bit multicore with ribbon UI from CADDIT. progeCAD 2017 will also deliver DOZENS of new commands and variables to be used. At this point these new functions are to include: BCOUNT, XOPEN, XPLODE, POLYSOLID, POINTCLOUDATTACH, SETBYLAYER, PRINTTRANSPARENCY, TABLESTYLE, Layer-walking and many more. Significant changes and improvements have also been made on QSELECT, PURGE, LOFT, CUSTOMIZE, AUTOCOMPLETE and many others. To benefit from this free upgrade offer, simply buy progeCAD 2016 (English) on the CADDIT.net website. After the 2017 release, free upgrades will be sent to all progeCAD customers with orders paid on or after 24 February 2016. At a time agreeable to the user, the progeCAD 2016 serial key will be replaced with a progeCAD 2017 serial key and a new download link will be sent for the software, similar to how has been done in past years. The free upgrade will apply to all new progeCAD Professional, progeCAD USB and company Network licenses purchased on or after 24 February. New dongles will not be required for the progeCAD USB upgrade. Free upgrades will also be sent to any users now purchasing a progeCAD 2016 upgrade for an existing seat of progeCAD 2010, 2011, etc. Promotion does not apply to OEM repackaging. This promotion will last until the day that progeCAD 2017 release is announced on this website. 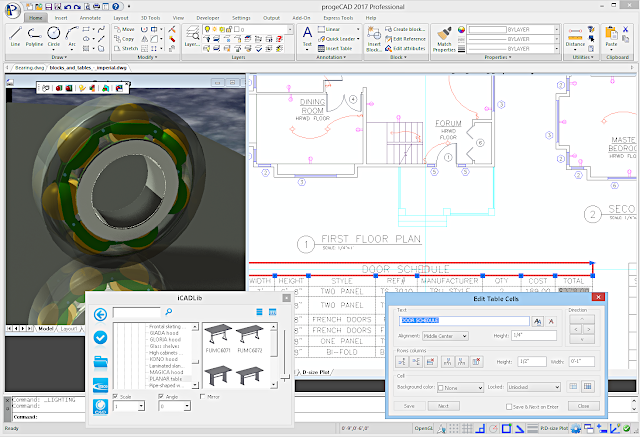 To try progeCAD free for a month, progeCAD 2016 can be downloaded HERE. For questions about this free 2017 promotion please contact CADDIT here. Are you saying progecad 2017 will not support 32 bit versions of Windows? Please see our latest announcement for progeCAD 2017 - there are two downloads available - one for 64-bit and indeed one for 32-bit. Please give it a try and let us know..